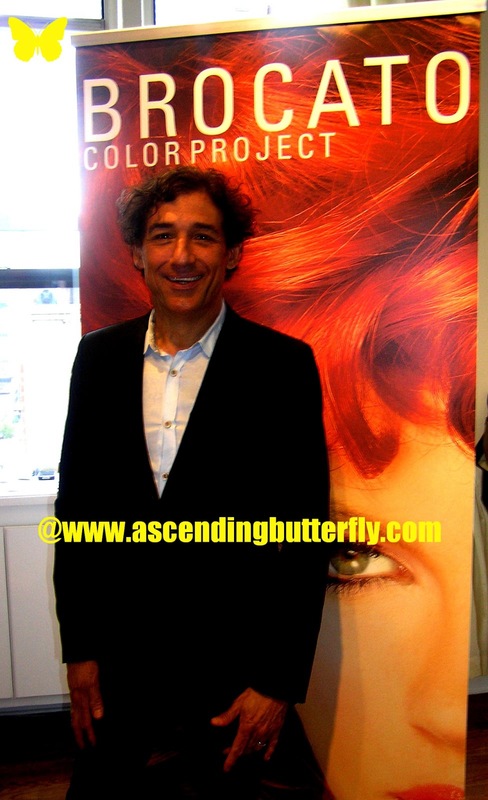 Ascending Butterfly: Highlights from May 2013 @beautypress #SpotlightDay in New York City! Hot #Beauty Products all in one place! 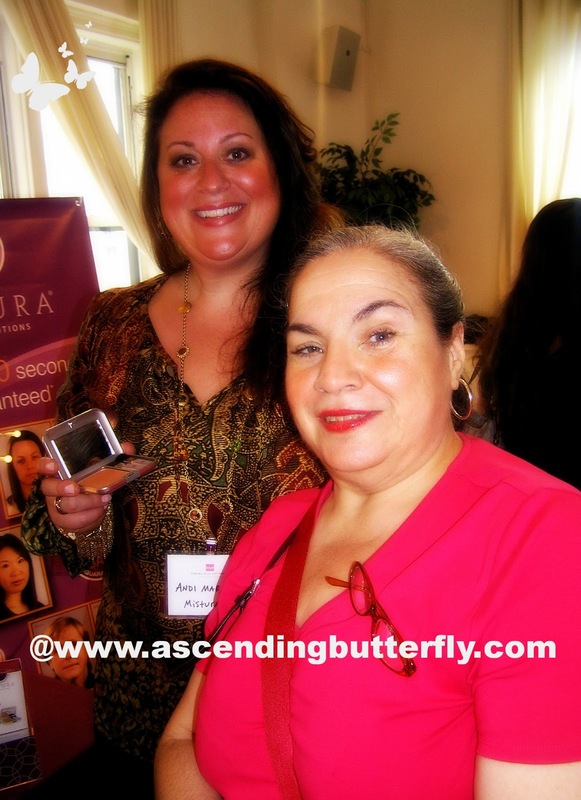 Highlights from May 2013 @beautypress #SpotlightDay in New York City! 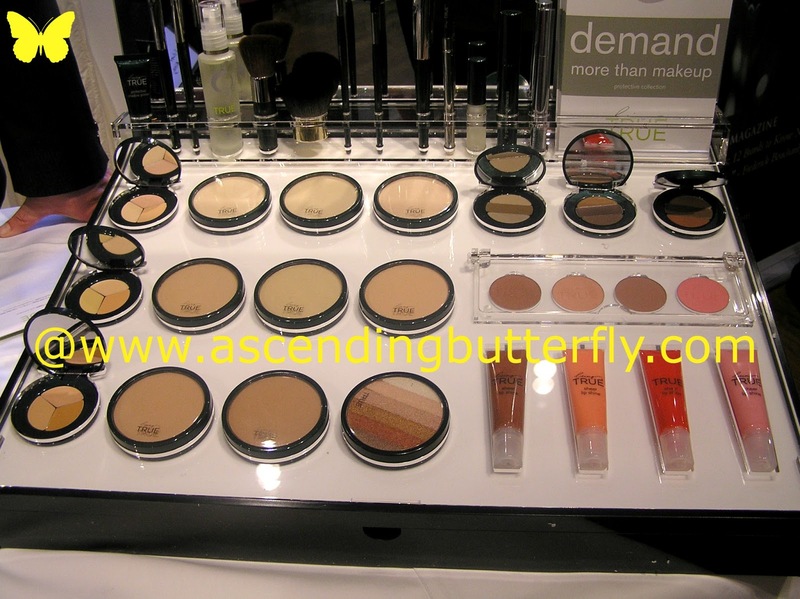 Hot #Beauty Products all in one place! I don't think it's ever taken me this long to post a Beauty Press Spotlight Day recap, but I cannot begin to explain how insane my schedule really is lately. As usual, Beauty Press delivered a ton of great brands directly to us, which is great. Editors/Bloggers get a ton of event invites, and it's just not possible to attend them all, so going to an event where multiple brands come to you is just a no-brainer to begin with. It saves me a ton of time to meet 10 brands at once, and so far I've discovered a ton of new favorites this way as well. 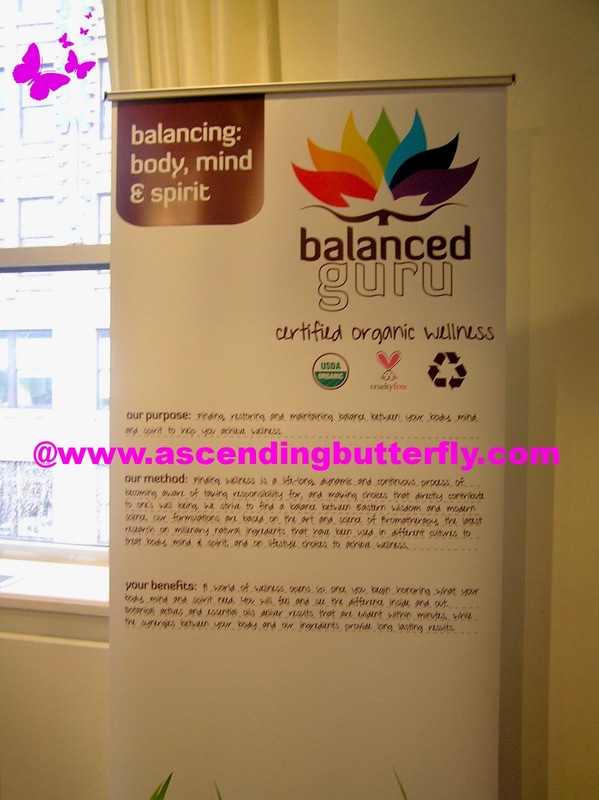 Being True - I love this tagline, it sums them up (and me up) in a nutshell 'Explore the difference between simply being and BeingTRUE.' Isn't that the balance we all try to strike each and every single day? 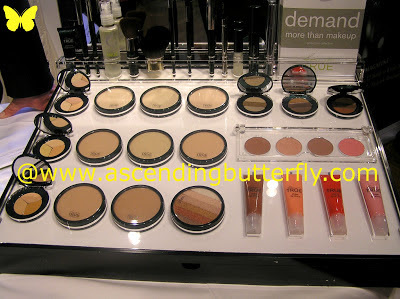 I love cosmetics and skincare that do something good for your skin while helping you to put your best face forward. I really liked the folks at Being True and they have sent me a Cosmetics Bundle of Love to play with, so stay tuned for full product features, and who knows, maybe we can finagle something great for YOU too butterflies! What we tested while we were there and they also provided samples in the gift bags was the 'finishing touch perfecting pen'. With this beauty 'pen' you can write fine lines off, immediately erase signs of fatigue, and brighten the skin, I definitely loved this product! It combines Instalift Goji derived from the Goji Berry (provides skin lifting and firming benefits), with Pomegranate and Malakite to help protect the skin against premature aging. If you don't get nearly enough sleep at night (like me), this pen is something you are going to want to keep in your purse, in your desk at work and in your vanity at home! Brocato - Sam Brocato's core philosophy is that beautiful hair design starts with the right cut and ends with the use of the right liquid styling tools and quite frankly I share that philosophy, without the right cut, even the most expensive styling products are of no use! You guys know I don't always win the battle of the frizz, in fact the event was held on a rainy, humid day and I wasn't quite having the best hair day that day, so I'm looking forward to trying out the great products that were in our gift bags including: supersilk Pure Indulgence Leave-In Treatment, swell volume Full Body Styling Clay (my hair type is fine so I like trying out products that add body and reduce that 'limp' appearance), supersilk Pure Indulgence Shampoo, actives Restorative Hair Infusion (I love that this one is equally effective for curly girls as it is for naturally straight hair, and can be used on wet hair before blow drying as a conditioning booster, and on dry hair before flat ironing to boost and seal in shine), and last but not least Back to the Beach Texturizing Mist. I have been testing another system so I haven't started on these yet, but I am definitely looking forward to it! 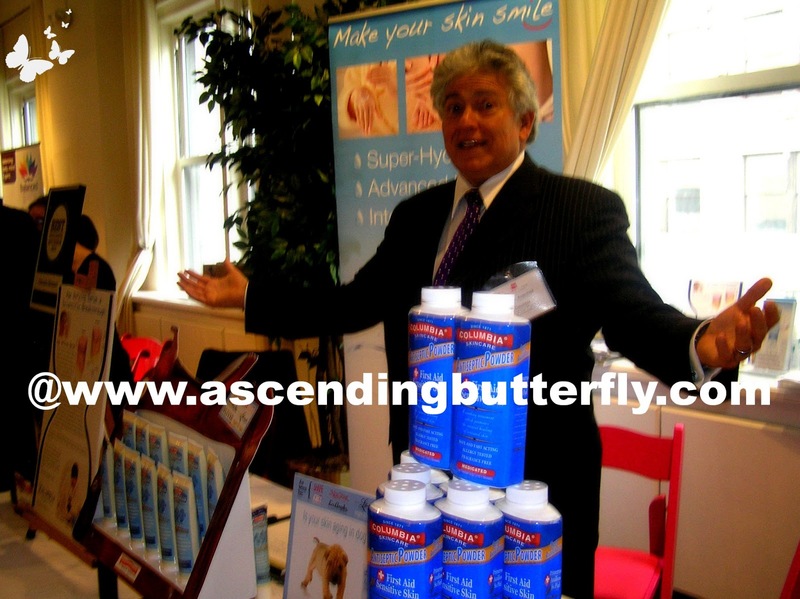 Columbia - One of America's oldest family owned skincare product companies that has been developing medicinal treatments used by dermatologists, surgeons, estheticians, podiatrists and veterinaarians since 1871 presented their Antiseptic Powder and Healing Cream. Over the weekend I got my first ever sunburn and I can tell you that these products have come in handy! These definitely get my butterfly stamp of approval! 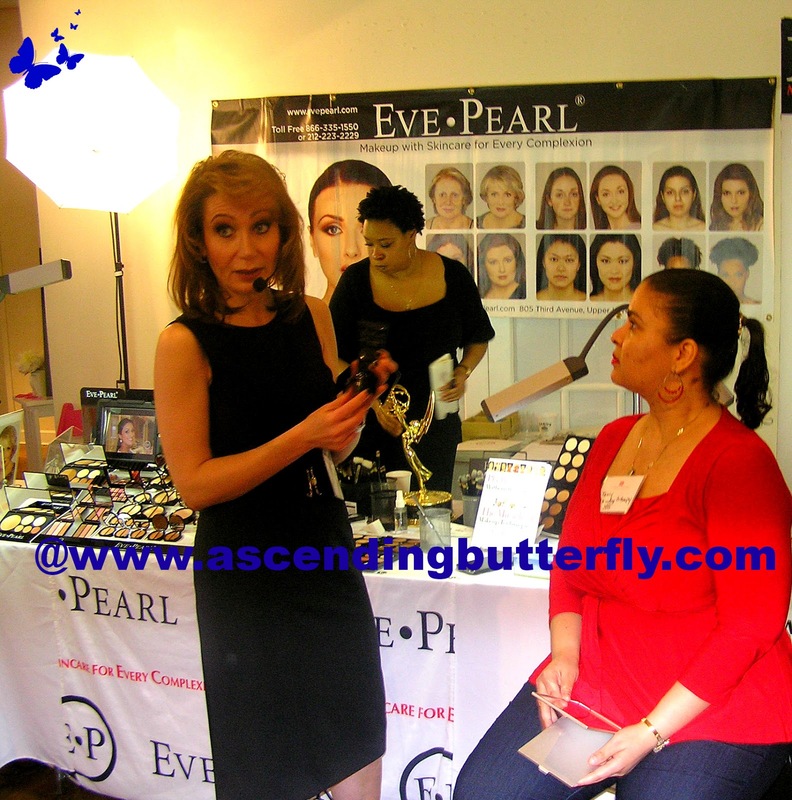 Eve Pearl - is a 5-time Emmy Award winning celebrity Makeup Professional with over 18 years of experience in television, film, theatre and print. She also has the patience of a Saint. As I mentioned the event was held on a rainy and super humid day. Most everyone was mentioning how they were feeling sort of blah and while no one seemed to want to take pictures of themselves getting worked on, they were taking pictures of others instead which did NOT make me happy, it's a huge blogger pet peeve of mine in fact. In my opinion while at an event you shouldn't just take pictures of other bloggers and use them on your site. Granted sometimes you can't help it, you are trying to get a shot of a speaker and get people's heads, but that's not what I'm talking about, I'm talking about purposely snapping a direct on photo of someone who isn't purposely posing for it for you. We have no choice about the venue and event sponsor using our image, but the least we can do is respect one another! Left: Eve Pearl, Right: ME! 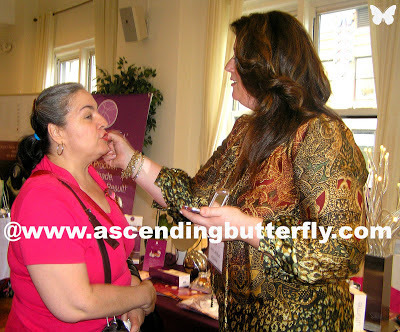 Ascending Butterfly - As you can see by the after, my acne scarring is very well concealed and she left my lip color (as you guys know I custom blend my own lip color and I find it quite flattering that most makeup artists tend to leave my lips alone) and she did a light, natural look on my eyes as well. 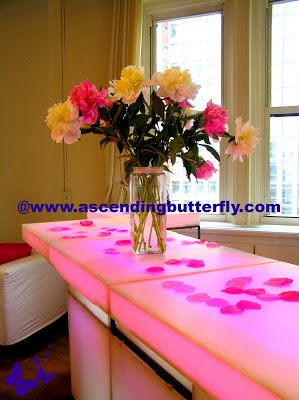 Eve was just all around awesome and I would definitely love to have her back on Ascending Butterfly! 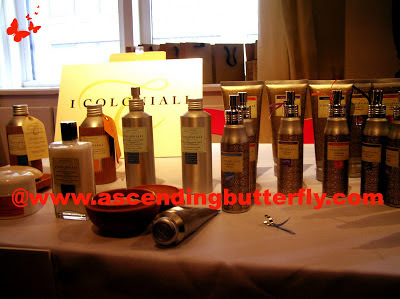 I Coloniali - I Coloniali products are designed to offer an experience of beauty that embraces the body, the senses, and the emotions. 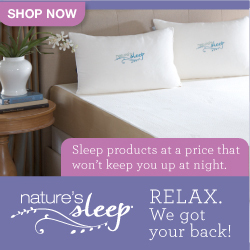 They feature natural ingredients for the perfect balance for body and mind. They are where Spa Treatments meet the privacy of your own home. and while it was hard to pick a favorite from what I sampled on the spot, I fell in total ♥ with the Deep Massage Body Cream with Myrrh, it was a standout favorite and I will give it it's own day in the sun on these pages soon! While I requested the full size of this product because I'm totally obsessed with the scent, in our gift bags were also trial sizes of this product as well ast the Relaxing Bath Cream with Bamboo Extract, and the Velveting Hand Cream with Rice Bran Oil. Juliet Stewart - is the CEO of Juliet Stewart, a beauty and wellness company dedicated to teaching women about the power of their inner beauty. 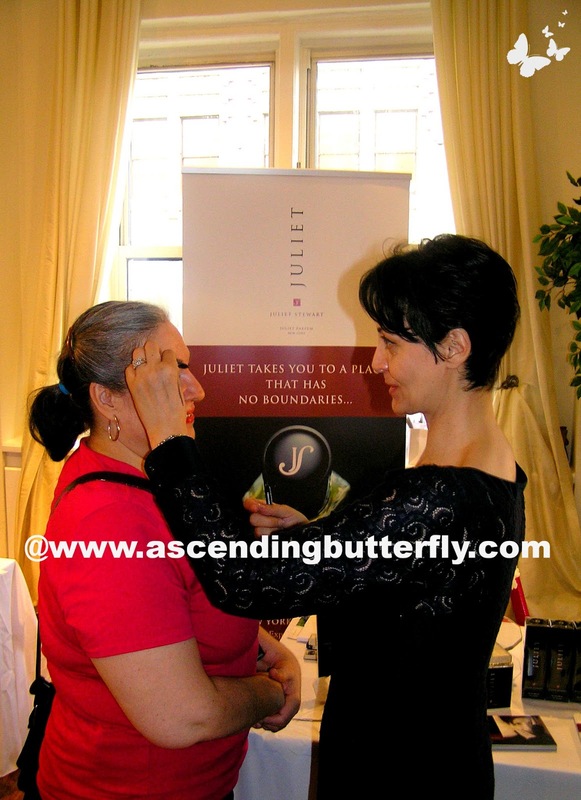 Juliet gave mama butterfly an eyebrow shaping and we also got to sample her parfum Juliet! Much like Eve Pearl, Juliet was warm, engaging, and super down to the earth, you can tell that she loves helping people bring their inner beauty to the light! I was amazed how well this worked for a wide variety of skin tones, and I am not going to be happy when I run out of this that's for sure! 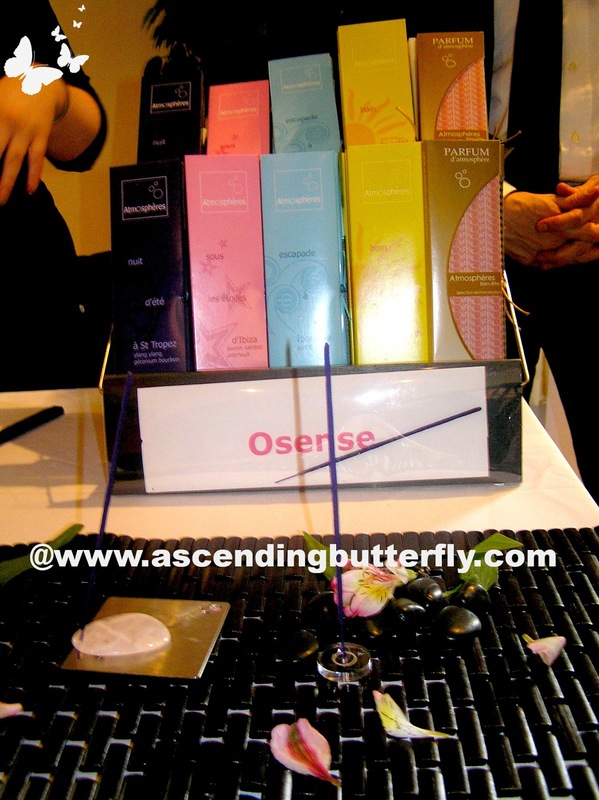 Osense - You all know by now how much I love meditation (in fact this site started with daily breathing affirmational meditations in 2009), and one of the things that can help enhance meditation is incense, which is why I gravitated to this table as soon as I saw their display! Their 'Fragrant Sticks' are delightful and by far my favorite is the one they call 'Ipanema'. I will definitely be adding these to my meditation, in fact for those in the incense know, I hadn't found one I liked this much since I hit on Nag Champa! PretendTan - DK Luxury Beauty's newest retail product is derived from their professional spa system for at home use. We all know that the only safe tan 'is tan in a can', and if you are going to do it you want one that is streak-free, oil free, odor free, paraben free, easy to apply and lasts for days! 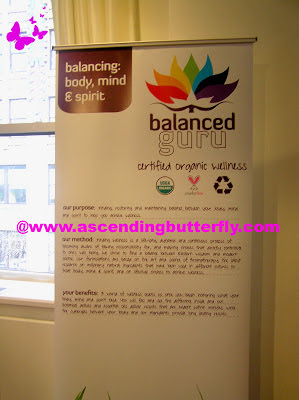 Want to see what other brands I have been introduced to during past Beauty Press Spotlight Days? Check out previous coverage of past Beauty Press Spotlight Days HERE and HERE. Butterflies, tell us which brand you are most excited about seeing a giveaway for (and don't forget to visit them on their social media pages and tell them you saw them featured on Ascending Butterfly)! FTC Disclosure: This is NOT a sponsored or compensated post, I am under no obligation to share my event recap coverage and all opinions expressed herein are 100% my own. 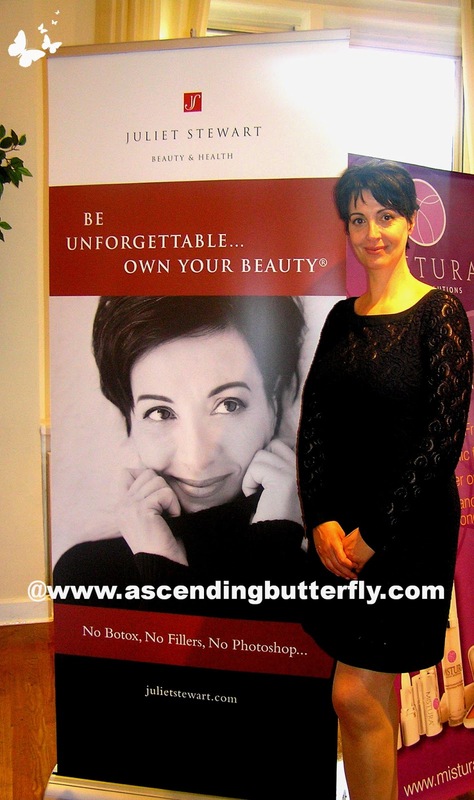 I just love love love when you do the beauty press review's ,you bring us so many great products (some that I might not have tried other wise !) thank you ! I love to hear reader's experiences with the brands we feature, so once you've tried them, (or if there are some you are already using) please feel free to share with us! 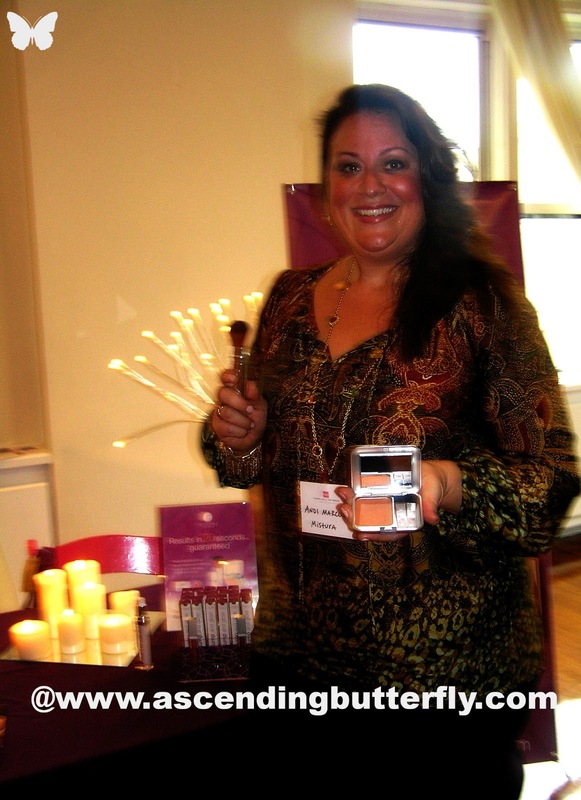 @Betzy Carmona -The Beauty Press Spotlight Days are a great way to interact with brands one on one, they are always fun!